The vast plains of Spain, the land betweeen Andalucia and Madrid is known as the region of Castilla – La Mancha. A vast stretch of flat ground between mountain ranges in the heart of Spain. It’s the home of the folklore and legend, Don Quixote and the historical windmills which gave rise to his tales. The region of Castilla – La Mancha is divided into five provinces, all as worthy of exploring as the next. So far we only have one Boutique Hotel in the region, but we’re working on it. Hotels in Castilla – La Mancha on Booking dot com. 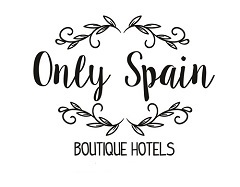 Have you visited a great hotel in or around Castilla-La Mancha that you’d like to recommend?